Laticauda colubrina. Also known as colubrine sea krait or yellow-lipped sea krait. ©2012 Elias Levy at Flickr.com. Thailand is surrounded, in large part, by ocean water with the Gulf of Thailand and the Andaman Sea over on Phuket side. There are more than 30 species of venomous Elapid sea-snakes around the coast of Thailand. Avoid them whenever possible. All Thailand’s sea-snakes are Elapids, which means they are front fanged and venomous. Some are known to be deadly, having envenomated divers or seamen who catch fish in nets and who unwittingly got too close to a sea snake caught by accident. The good news is that sea snakes avoid people as much as possible, just like on land. 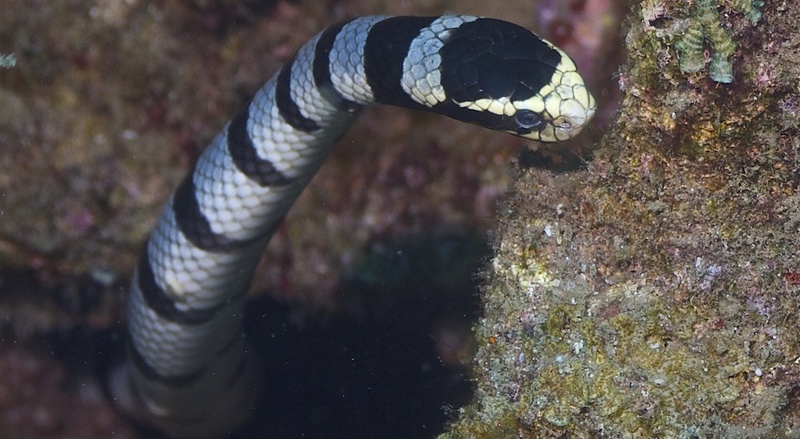 Sea snakes don’t attack like sharks or tigers, and they really only want to be left alone. Still, just like on land, there are curious human beings – risk takers, thrill seekers – who can’t leave well enough alone and who will try to touch the venomous snakes as they swim. Sea snakes have small fangs just a few millimeters long. 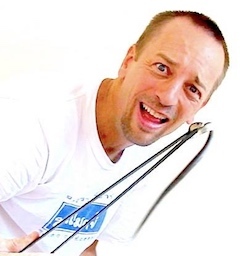 It is difficult for a sea snake to bite a human being, but not impossible, it does happen. There is more about symptoms and treatment for sea snake bites below. Sea snakes prefer shallower areas around coasts and islands. Thailand’s local divers in Phuket and Krabi, Phi Phi, Phang Nga, Koh Samui, Koh Tao, Koh Phangnan, and other dive spots, see snakes in the water often. Sometimes sea-snakes are found living in the water near mangrove roots. But they have also been found in brackish water, and even freshwater up rivers as far as 160 kilometers (99 miles) inland from the sea. Sea snakes have small eyes, small mouth, and some adaptations for breathing while on the surface of the ocean. Typical adult sea snakes are between one and one-and-a-half meters in length and a couple of fingers thick. There is one that reaches around 3 meters – and it is rather aggressive (Hydrophis spiralis – Yellow Sea Snake). Sea snakes have a paddle-like tail – which helps to propel them smoothly and quickly through the ocean. Paddle tail of the yellow-lipped sea krait helps it move quickly through water. Sea snakes float on the water and dive to eat. Sea snakes feed on small fish, eels, and octopi. They eat frequently, and not all like their terrestrial counterparts who prefer to eat larger meals and rest for days between meals. Most sea-snakes need not come out of the water to land, for any reason. They birth live young in the water. But, five sea kraits – in the Genus “Laticauda” are oviparous and come out of the water to lay eggs on rocky areas beside the ocean. These kraits have kept their ventral scales, the ones on the belly – which helps them to move on ground. The other sea snakes have lost their ventral scales and hence they are about as mobile as big worms on the dry land – not very mobile at all. Some sea snakes can respire (breathe) through the tops of their bodies. Up to a quarter of their oxygen needs can be provided for in this way. It’s quite fascinating, that a reptile has evolved to do this. Not so fascinating when you consider that reptiles evolved from fish. Sea Snake venom generally contains postsynaptic neurotoxins and myotoxins (suspected). Nephrotoxicity, cardiotoxicity, are secondary only. Local effects – swelling, bleeding, pain, are minimal or absent. There may be no pain after a sea snake bite, but there are other symptoms to look out for as the nerves and other organ systems of the body are profoundly affected. 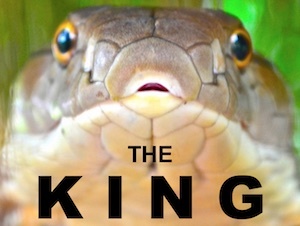 A person bitten by a sea snake may experience headache, nausea, vomiting, abdominal pain, diarrhea, light-headedness, collapse or convulsions. Flaccid paralysis is one symptom with some of the sea snakes. Keep in mind, that some bites are ‘dry’ bites and there was little or no venom injected into the wound during the bite. 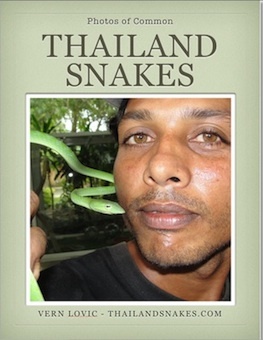 With terrestrial Thailand snakes, this occurs between 30-70% of all bites. It is not known what the rate of envenomation is among sea snakes, but possibly similar. Treatment is necessary for all envenoming. Paralysis and myolysis within six hours post-bite are common and indications of envenomation. Treatment consists of good hydration and renal flow, respiratory support (if necessary), and the proper antivenom administered through Intravenous Drip. Here are some preliminary first aid treatment procedures for Elapid bites.